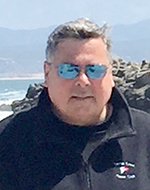 Mik Maguire completed his education using the GI Bill at San Francisco State College in 1972, then worked with a national corporation managing 40 independently owned dealer outlets for five years. 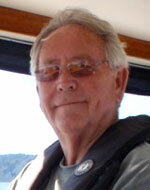 He entered the sales side of the marine industry and have been a licensed salesman and broker for 33 years. During that time, owning his own business and managing others. Recognized nationally for his efforts in marine safety he has worked closely for the last ten years with the California Department of Boating & Waterways & USCG. Personal Boating…Mik has cruised the West Coast to the Sea of Cortez, some Caribbean cruising and the Bay & Delta since 1954. Tony Faso has been around boating since the days of being dragged behind ski boats in lake Shasta as a 5-year-old. He began his professional boating life after building custom homes in the north bay got him interest5ed in modifying boats in the California Delta for resale purposes. Tony has been the owner operator of Delta Marine Sales and Services in Stockton, CA (a 5-acre boatyard and sales facility) for nearly 15 years and continues to run the boat yard today along with another sales facility at Tower Park Marina in the Delta. He has been able to bring his experience as a boatyard owner to help others in the CYBA better understand that side of the transaction process, as it can often be a contentious portion of any deal. Tony joined the CYBA in 2013 as a master member and now is proud to serve on the board where he is excited to be able to make a difference in all aspects related to improving the overall experience for boat buyers and sellers. Mark's commitment to the yacht brokerage Industry is ongoing. He joined the CYBA in 2013 and enjoys being an active member, currently serving as the CYBA Membership Chairman. At college in Boston he was frequently at Hood Sails in Marblehead, where they were developing their first spar for a boat he raced on. While in college, he went from regatta to regatta... match racing and crewed on a Canada's Cup contender. He spent a great deal of time at boat yards, and around yacht builders, Derektor, Palmer Johnson, and one-off builders. He has been a CYBA member since '03. 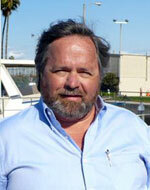 In 1986 Peter accepted a position with Jack Barr Yacht Sales at the new Marina Village on Alameda Island. The following year an opening with the Sea Ray dealership brought him to San Diego. Over the last 30 years Peter worked at several dealerships and have had the pleasure to get hundreds of famlies get out on the water and learn to safely operate and enjoy the beauty of the California waterways. 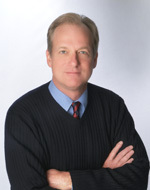 For the past 11 years Peter worked for MarineMax and is the General Manager and Broker of Record. MarineMax is a long time member and supporter of the CYBA and NMMA, Peter has earned the Certification of Professional Yacht Broker. MarineMax offers Women on Water, Kids in Boating and General Boating education Classes to the public. Getaways, Docktail Parties and other events help us to achive Peter's personal goal, to get more people out on the water and get current owners to use their boats more often. 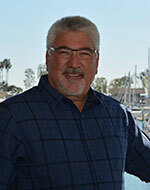 He began his career selling boats in 1995 and in 1998 purchased San Pedro Yachts. 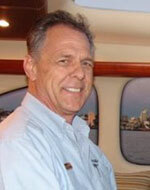 He and his staff have dedicated themselves to helping each of their client's dreams of boating come true. 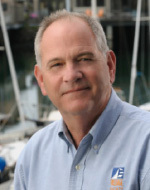 Dennis had been continuously affiliated with Ardell Yacht & Ship Brokers from 1968 to 2016 when the sale of the landmark Ardell Marina waterfront property in Newport Beach and the founder's passing followed with the surprise announcement that the brokerage operation, which began in 1959, was closing its doors. Dennis had previously managed the Newport Beach office for 10 years with heavy involvement in contract negotiation and sale administration. 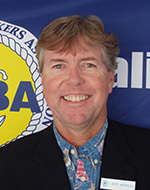 - Arbitration Administrator for California Yacht Brokers Association. - Served on CYBA forms committee to draft original and revised industry standard listing and sale agreements. 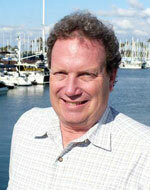 Thomas A. Russell has been the Senior Advisor to the California Yacht Brokers Association for two decades. A nationally-recognized maritime lawyer, Russell currently serves as is the Port Attorney for the Unified Port of San Diego. Prior to that he served for a decade as General Counsel to the Port of Los Angeles. He is past chair of the Recreational Boating Committee of The Maritime Law Association of the United States. Russell is a contributing author to several national publications, including Benedict on Admiralty and Moore's Federal Practice. 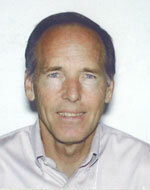 After serving as a law clerk to Justice Robert Kingsley of the California Court of Appeals, Russell studied dispute resolution at the Harvard Law School. Russell is a Proctor in Admiralty of The Maritime Law Association of the United States, is listed in Who's Who in American Law and Who's Who in America, and holds an "AV" peer-review rating from Martindale-Hubbell for achieving the highest standards of legal ethics and competence. Russell received his undergraduate degree from the University of California at Berkeley and his law degree from the University of Southern California Law School.